The secondaries giant is seeking $12bn for the secondaries pocket of ASF VIII, having raised $14bn for its predecessor across primary, secondaries and co-investment sleeves. Ardian has made headway on its latest secondaries fund, set to be one of the largest raised for the strategy. 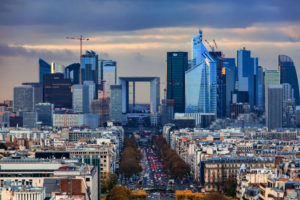 The Paris-headquartered investment manager has raised $1.09 billion for ASF VIII through two vehicles, according to filings with the Securities and Exchange Commission. This total comes from 28 US investors, the filings note. It is unclear how much the firm has raised so far from non-US limited partners. Secondaries Investor revealed in May that Ardian was targeting $12 billion for the secondaries component of ASF VIII. The total size of ASF VIII, including any primary and co-investment pockets, is unclear. ASF VIII is targeting a net multiple of 1.6x and a net internal rate of return of 16 percent, the University of Houston System revealed in a broadcast of the US pension’s August board of regents meeting. The fund will look for transactions of $1 billion-plus and will target more complex deals, said Lucy Chang, an investment director at Cambridge Associates, who recommended Houston make a $7.5 million commitment. Predecessor ASF VII closed in 2016 on $14 billion including co-investment capital, above its $9 billion target, according to PEI data, and has a $10.8 billion pocket dedicated to secondaries. The fund delivered a 23 percent net internal rate of return and 1.23x multiple as of March, Secondaries Investor reported. Ardian is one of a number of big players with secondaries vehicles in the market, including Lexington Partners, Coller Capital, Strategic Partners and HarbourVest Partners. Ardian did not return a request for comment by press time.